G. rufa are most commonly referred to as “Doctor Fish”, as they can feed on dead skin and hence have been used for the treatment of psoriasis and by the spa industry for pedicures (Ozcelik et al. 2000; Grassberger and Hoch 2006; Ozcelik and Akyol 2011). The fish originates in the river basins of the Northern and Central Middle East, mainly in Turkey, Syria, Iraq and Iran. G. rufa is found in a range of different lotic (moving water) habitats such as rivers, lakes, and small muddy streams in the Middle East (Coad 2014). It is a non-migratory bottom dwelling species, generally found hiding under and among stones and vegetation in swiftly flowing water (Coad 2014). This fish is famous for its ability to eat dead or diseased human skin while leaving healthy skin untouched. Doctor fish is the name given to two species of fish: Garra rufa and Cyprinion Macrostomus. Other nicknames include nibble fish, kangal fish and little dermatologists; in nonmedical contexts, G. rufa is called the reddish log sucker. They live and breed in the outdoor pools of some Turkish spas, where they feed on the skin of patients with psoriasis. The G. rufa diet consists of Aufwuchs (Fishbase 2011), the benthic community growing on open surfaces. 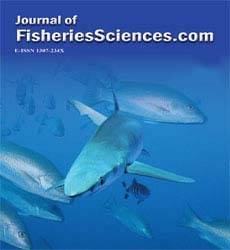 Gut content analysis on fish caught in the Asi River and its tributaries (Turkey) found mostly benthic plant material, dominated by Chrysophta, Cyanobacteria and Chlorophyta, with rotifers and protozoa also being recorded (Yalçin-Özdilek and Ekmekçi 2006). A recent fad for "fish pedicures" has sprung up, initially in health and beauty resorts, but soon spreading to shopping malls and salons, where you can pay to sit for a few minutes with your feet immersed in tanks full of the little buggers. The spas are not meant as a treatment option, only as a temporary cure for symptoms, and patients usually revisit the spas every few months. This species is not one of the 5600 animals listed on CITES Appendix I, II or III (CITES 2014). Nor has it been listed or assessed by the International Union for the Conservation of Nature (IUCN 2014). The G. rufa, traditionally, provide a massage in warm water that rids the skin of its scales. The natives of Turkey have used and are still using the G. rufa fishes to cure skin diseases as well as refresh their skin for more than 200 years. It was in Turkey that the phenomenon "Fish Spa" was born, according to local history, begins to 1660 mt. above sea level, in the Sivas province. The first Skin Therapy clinic using G. Rufa fish in Ireland (Limerick) was opened in 2008. In 2010 the first UK. spa opened in Sheffield. The European registered trade mark is owned by Dr Fish in Corralejo, Las Palmas, Spain (Fish Spa Boutique). A fish pedicure is a beauty treatment that uses dozens of tiny fish to nibble away dead and hardened skin from the feet. The fish are said only to eat dead skin, although there are some anecdotal reports that they can break the skin if they nibble too deep and so encourage the growth of new, healthy skin. This treatment was prescribed for those suffering, especially in the feet psoriasis, a painful disease, which, however, this revolutionary treatment of patients improved dramatically. The piscatorial pedicure process varies from region to region but essentially, it involves immersing your feet into a tub of warm water filled with about 100 tiny toothless G. rufa. They don't have teeth so whilst calluses and other stubborn ailments are gnawed at, healthy skin is left untouched. Young fish is able to remove the dead skin with an enzyme (dithranol/anthralin) in the mouth and these are their only food and no other should be given so that they come to perform their duties. It has the distinction of secreting an enzyme (dithranol/anthralin) is drops at each contact with human skin. They have found that these tiny fishes secrete an enzyme called diathanol which is said to improve skin regeneration! It is used, in many countries, in therapeutic add in for skin diseases such as psoriasis, eczema, but also in the diabetes treatment by promoting blood flow. There seems to be little doubt that the doctor fish performs its skin eating function well, and a small retrospective study showed it to have positive results in the treatment of the skin condition psoriasis when combined with UV therapy. Doctor fish are actually hard to obtain through the aquatic trade. This may be because they are not particularly attractive, in terms of their coloration. Doctor fish care is straightforward, although they should be housed in groups on their own. Young doctor fish must be removed too, as soon as they become free swimming, because otherwise they are likely to be eaten. Doctor fish are quite easy to rear on brine shrimp, and will be mature by 8 months. Daily feed the fish, a pinch by aquarium; the food is disappearing in 2 minutes maximum. Leave the light minimum 15 minutes after fed fish. 2 times week change 30 L of water (don't forget 30 ml of Aquatan for 30 L of water directly in buckets not in the aquarium). • Once a week made a NO2 and PH test. • Once every 2 weeks add 6 balls of Pure Aquarium. • Once every 4 weeks make a NO3 test. Fish require a stable environment with the correct water quality and temperature range. Sudden changes in water temperature seriously compromise the welfare of the fish, leading to suffering and may even kill the animals. Oxygen levels and chemicals such as ammonia and nitrite will affect the welfare. Dermatologists have suggested that the use of fish is inappropriate because it fails to treat the underlying cause of the skin condition. The G. rufa fish exfoliation is said to stimulate blood flow and improve circulation, remove bacteria and reduce foot odour and help with athlete's foot. It’s also said the fish can stimulate acupuncture points, helping to regulate the nervous system, relax the body and release. The soothing effect of the enzyme of the G. rufa fish, the revitalising effect of the Dead Sea minerals and the calming characteristics of the natural plant extracts have led to the development of this highly effective skincare range, suitable for all skin types. The risk of infection associated with G. rufa fish pedicures is likely to be very low, according to experts from the Health Protection Agency. In October 2011 it issued updated advice on fish spas following an investigation. The Health Protection Agency is currently investigating the practice from a human health perspective and the practice has banned in 14 states in the USA due to public health concerns. Finally, the article states that ‘an enzyme secreted in the saliva fish does a great job of treating common skin conditions such as psoriasis and eczema’. In most vertebrates saliva does enzymes, and in any case, salivary glands are rarely found in fish. The risk of catching bacterial infections parasites such as fluke worms and blood-borne viruses, including HIV and hepatitis. The fish themselves cannot be disinfected or sanitized between customers. According to the US. Fish and Wildlife Service (http://www.fws.gov/) (http://www.cdc.gov/ Other/disclaimer.html), G. rufa could pose a threat to native plant and animal life if released into the wild because the fish is not native to the US. Fish tank water may contain a number of microorganisms. So there is the potential to catch a range of infections, either from fish to person, water to person or person to person passed on by the water or the fish. However, the HPA (Health Protection Agency) says the overall risk of infection is likely to be very low, if the spa operates good standards of hygiene. Although there are many risk concerns for G. rufa but now a days the species is very popular for Fish SPA. With some care and management strategies the risks are controlled at a certain range. It is advised to people with weakened immune systems or underlying medical conditions, including diabetes and psoriasis, against using fish spas. It is also said that people with these conditions are likely to be at an increased risk of infection. People with cuts or infections on their feet should allow them to heal before seeking fish spa treatment, and it is advised to wait at least 24 hr after having a leg wax or shaving before having a fish spa treatment. I should like to acknowledge Dr. B.K. Mahapatra, Scientistin- charge of Central Institute of Fisheries Education and my Mom and Dad for supporting and encouraging me to carry out the research work. "A medical study conducted by Martin Grassberger and Werner Hoch of the Medical University of Vienna, Austria, reported that exfoliation by doctor fish, G rufa, native to the hot springs at Kanghal, Turkey, when used in combination with ultraviolet (UV) light can clear the appearance of psoriasis. The treatment kept symptoms at bay for about eight months." Source: New Scientist. 7/14/2007, 195(2612), 5252. 1pp. Coad B. (2014). Freshwater fishes of Iran. (www.briancoad.com). CITES. (2014). CITES appendices I, II, and III. Convention on International Trade of Endangered Species. Grassberger, M., Hoch, W. (2006). Ichthyotherapy as alternative treatment for patients with psoriasis: a pilot study. Evidence-based complementary and alternative medicine: eCAM3,483-488. IUCN. (2014). International Union for the Conservation of Nature. Ozcelik, S., Akyol, M. (2011).Kangal Hot Spring with Fish (Kangal Fishy Health Spa) & Psoriasis Treatment La Pressethermaleetclimatique.148,141-147. Ozcelik, S., Polat,HH.,Akyol, M., Yalcin, AN., Ozcelik, D., Marufihah, M. (2000).Kangal hot spring with fish and psoriasis treatment. Journal of Dermatology.27,386-390. Yalçin-Özdilek, S., Ekmekçi FG. (2006). Preliminary data on the diet of Garrarufa (Cyprinidae) in theAsi basin (Orontes), Turkey. Cybium.30,177-186.